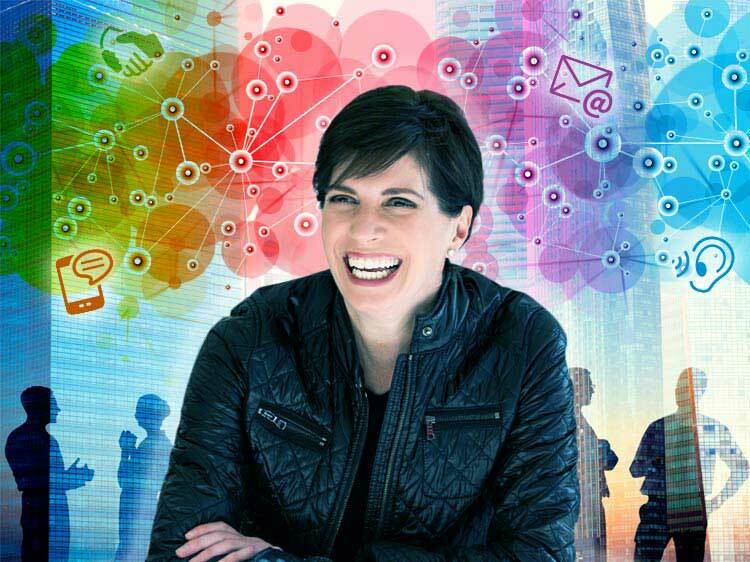 In her new book, Build Your Dream Network: Forging Powerful Relationships in a Hyper-Connected World, author Kelly Hoey says when you network make sure the right people know the right things. The office holiday parties are over. You drank, you schmoozed, you exchanged business cards, and hopefully you left before things got weird. So now that it’s back to the daily grind, it’s time to turn that pocket full of business cards (and those vague memories of brief chats in festive settings) into real relationships. That’s how Hoey has built her own career. In 2002, restless on the partnership track at a law firm, she started with a network of just two people. As those connections multiplied, Hoey became the first president of global women’s network 85 Broads and later became a venture capitalist and partner in start-up accelerator Women Innovate Mobile. Monster recently talked with Hoey about the do’s and don’ts of building a network that can help you get where you want to go. Q. Let’s say, from purely a networking standpoint, someone you met at a party intrigued you and you’d like to continue the conversation. What’s the best way to do that? Then think about what interests you most about him or her—what it is that you hope to learn—and do as much research as you can about whatever it is. This way, when you do meet again, you don’t ask the person for information you could have gathered on your own. So you’re making the best use of his or her time. It’s a matter of making it easy for people to help you. Then, continue to stay in touch. People want to know how you’re doing and what you did with what they told you—especially if you can put it in an email that doesn’t require a reply. Q. We often hear that everyone should have a 1- or 2-minute elevator pitch ready, but you say it’s not always a good idea. Why? A. Let’s be honest, there’s nothing worse than having to listen to someone’s 90-second canned speech about themselves. It makes other people want to run away. Instead, think of what you can say about yourself that will make someone want to hear more about you. I met a lawyer who went from saying, “I’m an intellectual property lawyer”— I’m falling asleep already!—to saying, “I open new markets overseas.” That’s a better conversation starter, because now I want to ask how she does that. If you know who’s going to be at an event, do a little homework on them beforehand, especially the higher-ups. So if you do get a chance to meet them, you have something to say that makes them happy to talk with you. Bear in mind, senior executives are usually just as uncomfortable in these situations as anyone else is. Maybe more so. Q. Are great networkers necessarily extroverts? You say introverts often do it better. Why is that? A. Most of the people I interviewed for the book, who described to me how they networked their way into great careers, turned out to be introverts. One reason is that someone who’s aware of their own discomfort with new people is much more selective about which gatherings they’ll put their attention into, and they’re more empathetic and patient in drawing out others who may be ill at ease. But the biggest reason is that introverts tend to listen more than they talk. That’s crucial, because you have to be genuinely engaged in what someone else is saying, and attuned to how he or she is receiving the message you’re trying to convey. Extroverts often miss out by not knowing when to stop talking. Sometimes one of the most valuable things you can do is just shut up. Anne Fisher has been writing about career and workplace trends and topics for Fortune and other publications since 1996. She is the author of If My Career’s on the Fast Track, Where Do I Get a Road Map?